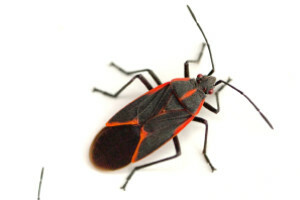 Boxelder bugs are a nuisance bug, and they are not known to cause significant damage to their natural habitat – which is boxelder trees, ash trees and maple trees – nor to the indoor environments they often seek when fall and winter arrive. They can move indoors in large numbers, which is an inconvenience, and if the volume is high enough, they can stain light colored items with their excrement. They may also emit an unpleasant odor if crushed. Be sure the exterior of your building is a good distance from trees and shrubs; ensure openings are sealed properly; and if you notice more than a few, contact us at Strategic Industries to evaluate and remediate your pest problem.